Sometimes even dining can be fortuitous. Sure enough, it was shut up with pink and green writing on the window proclaiming that they would be reopening on Valentine’s Day. My forgiving friend, who had previously owned a restaurant herself, worried that they were experiencing financial troubles and tried to turn my disappointment into sympathy. Still, they could have called. Standing on the street, deciding where to go next, we were intrigued at how the people of Greville Street had suddenly become obnoxious. Each group that passed made sexist comments, swore at us or argued violently with each other. We couldn’t even think with this assault to our senses. “You girls alright?” asked a guy in a waiter’s uniform. He had popped out from the restaurant a few doors down. He went on to explain that all week people had been turning up at Chez Olivier with bookings, no one had called to notify them of the closure. His colleague then called him back into the restaurant, Sicilian Orange. Without them prompting, we followed soon after. Sicilian Orange is a cosy venue with Italian food and atmosphere. The male staff threw Italian phrases into the conversation wherever possible. Grazie. Finito? With dim lighting, white table cloths, relaxed clientele and an appetising menu, we laughed at the booking situation with Chez Olivier and were happy that it led us to this charming spot. 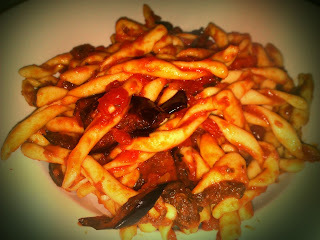 There were two vegetarian pastas on the menu, I ordered the macaroni with eggplant and tomato. I cringe at the thought of macaroni. It reminds me of my university days when there was no other food in the house other than a packet of macaroni cheese, that I cooked up, despite it being four years past its use-by-date. 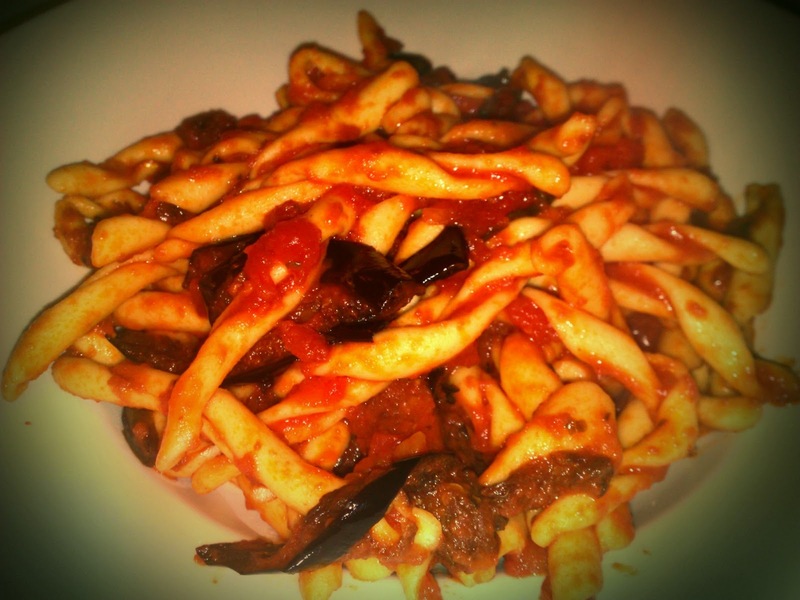 When the eggplant macaroni arrived, it did not look exciting. Fortunately, it tasted wonderful. It seemed the eggplant had been fried in breadcrumbs first giving it had a parmigiana taste. The tomato sugo was authentic and the dish came together deliciously. I accompanied it with a glass of Chianti which smelt like old strawberries, had a lot of texture in the mouth. It went perfectly with the food – a rare occurrence for a vegetarian who likes red wine. We enjoyed our meal. Sicilian Orange would be an equally nice spot for a sociable dinner of six, or a romantic night for two.